After a crazy busy week at work, there’s nothing better than your mum treating you to a new lipstick and in all honesty, my mum couldn’t have picked a better shade for me. Pink Luxe from The Body Shop’s Colour Crush Lipstick collection is a gorgeous pink shade with gold shimmer running through it. 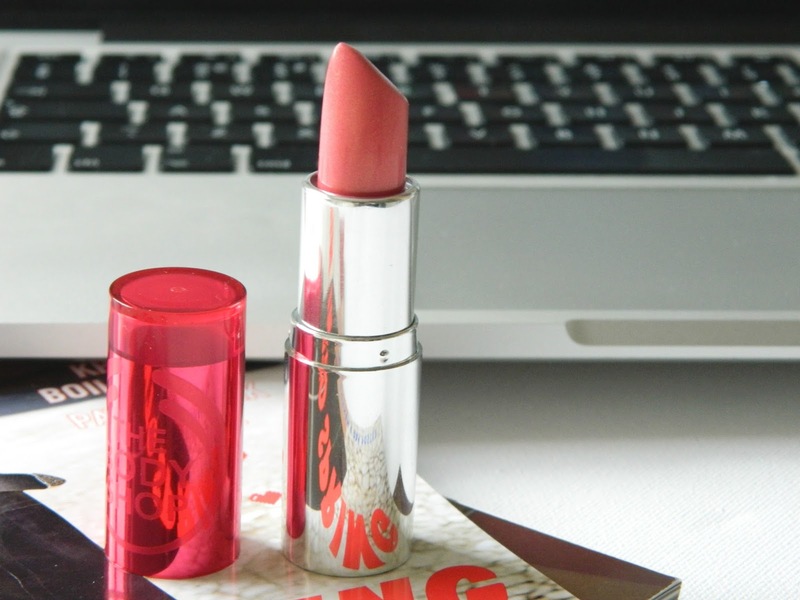 It’s one of those lipsticks that’s super easy to apply (a one slick wonder) and has a lovely glossy finish that leaves the lips looking juicy. 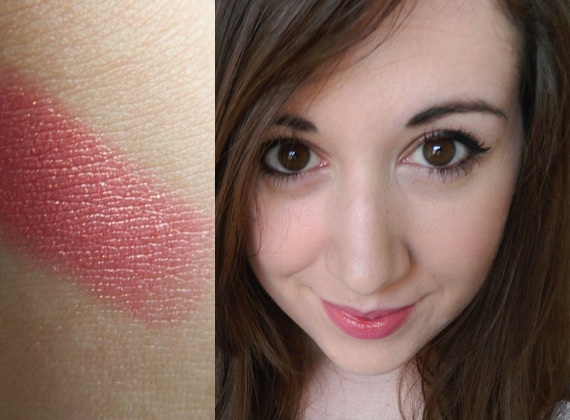 I’m a big fan of sheer lip products, so the Pink Luxe Colour Crush lipstick is right up my street. Pink Luxe is so moisturising on the lips and I think it’s perfect for everyday wear. I also really like the packaging of The Body Shop Colour Crush lipsticks as the lids reflect the colour of the lipstick. The lipstick itself has a slightly scent to it, which The Body Shop describe as a rose scent but to me it smells of tea and I love it! If you haven’t gathered already, there’s nothing I don’t like about Pink Luxe. It offers everything I want in an everyday lipstick and I think it’s going to look so lovely with a gold shimmery eye in the summer months. Have you tried any of the Colour Crush lipsticks? Which shade do you recommend me trying next? PS, you can currently get 25% off your first order from The Body Shop and £10.00 off orders over £25.00 (vouchers expire 28.02.15). 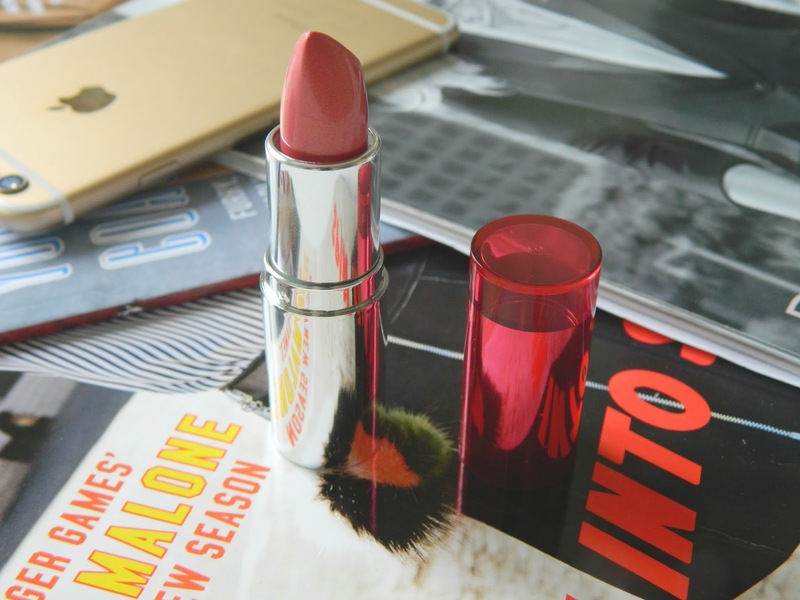 Enter my giveaway for the chance to win a Charlotte Tilbury lipstick of your choice! Ah this is such a stunning colour! Let me know if you end up trying it! Body Shop is amazing for skincare but their makeup is of great quality too!